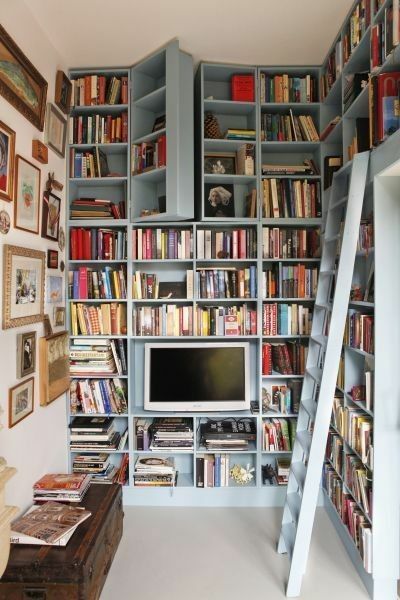 I have said before one of my favorite things to notice in peoples homes is their bookshelves. It is the perfect way to see what peoples interests are. 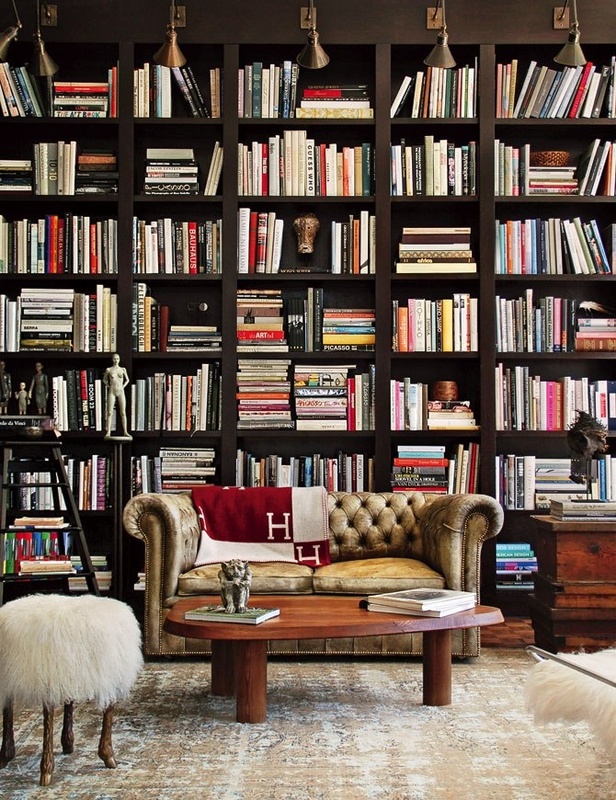 Do they hoard design books like myself? 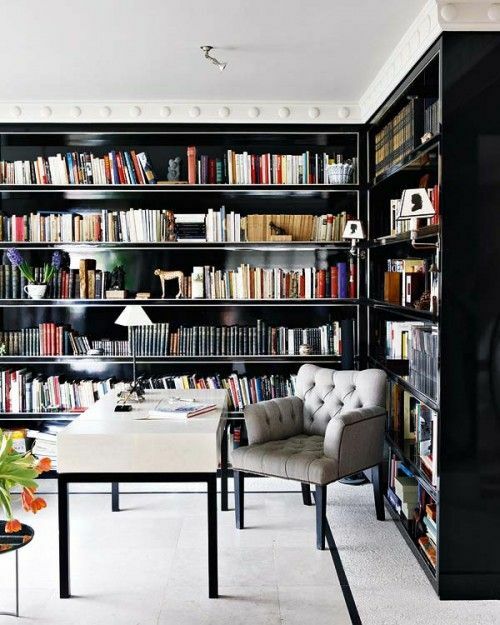 Maybe their shelves are packed with travel, history, business, art...you get the picture! 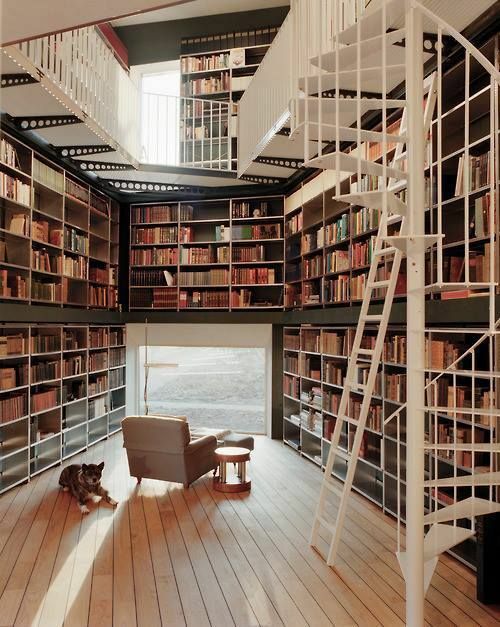 I think a dream would be to have a home library. Whenever I imagining having one, I'm not sure why, but this image always pops into my head!... 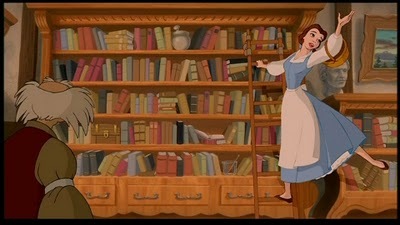 Ya know, swinging from a library ladder like Belle...why not?! Here are some of my favorites to come across. They all also have a cozy feel without feeling old and dusty! 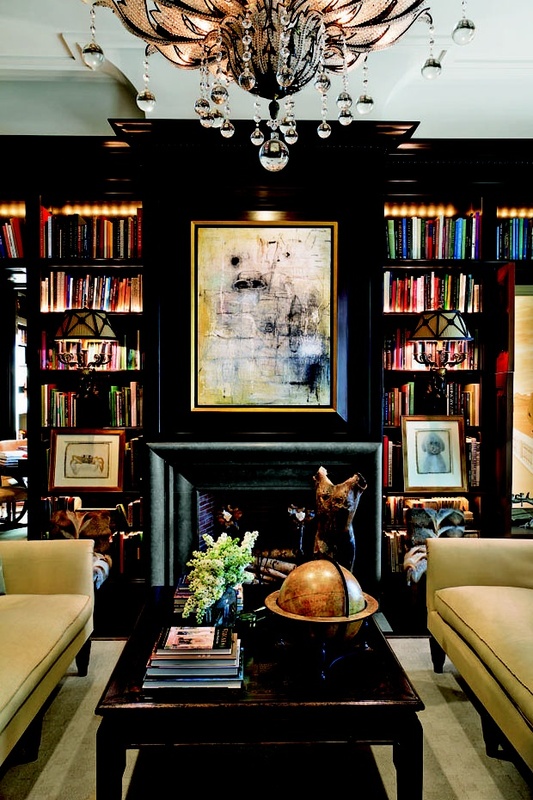 The number one area and time a home library should be considered is for a kids space. 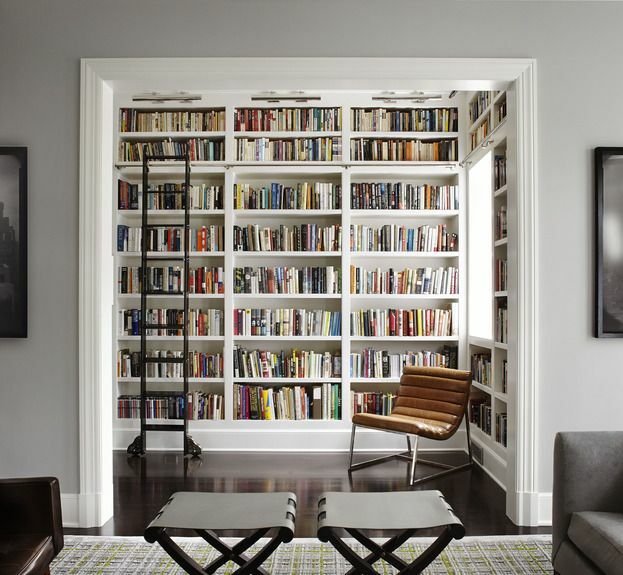 Lets face it...most adults do not reread books, and if so its probably only a select few...not an entire library! For a kid however...this would be like heaven and hopefully get tons of use! 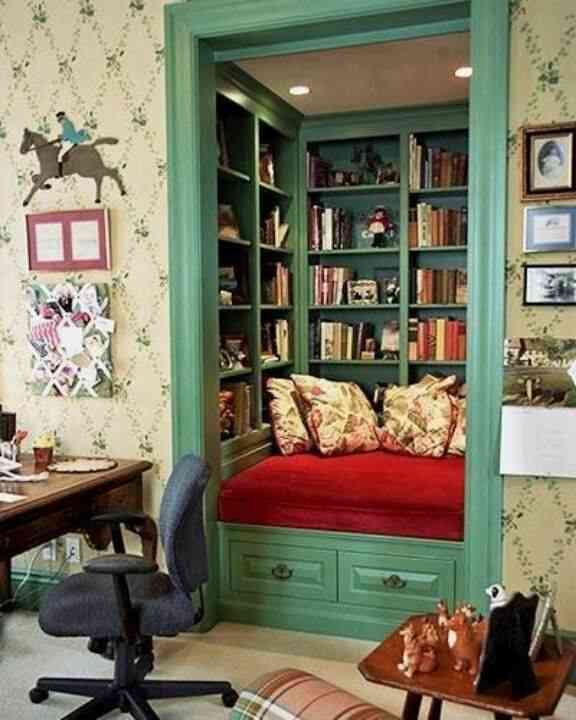 This is my all time favorite...proof that you do not need a ton of space...simply convert a closet! On a side note...I am actually writing this post from the airport...I like to think of it as multitasking instead of last minute! Feel free to follow along with me to Italy & Switzerland via my instagram! 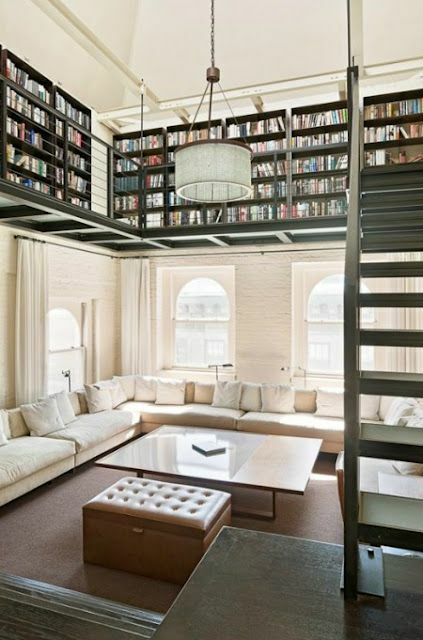 One day I shall have my very own library! My grandparents had one and I would just spend hours in there. It was most magical. Sometimes we would read and other times do art. Sweet memories.